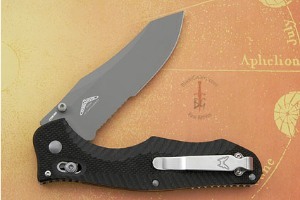 Description: Contego is Latin for “protect” or “shield”. 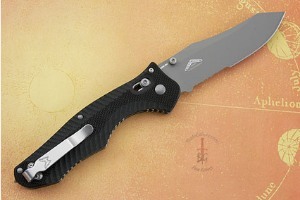 The Osbourne designed Contego tactical folder is built with toughness and durability. 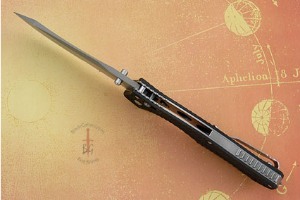 It features the AXIS locking mechanism, which is remarkable in its simplicity and strength. 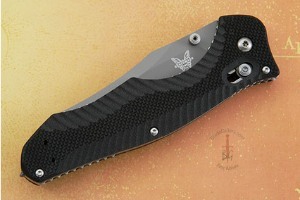 It features a reverse tanto blade with ambidextrous thumb-stud openers. 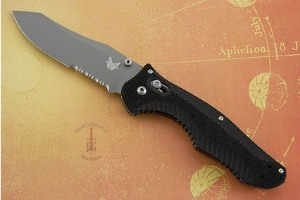 The blade has a partially serrated (ComboEdge) CPM-M4 stainless steel blade with gray Cerakote finish (62-64HRC). Textured, contoured G10 handle scales surround a stainless steel backspacer, with full liners and a reversible deep-carry tip-up pocket clip. Added to the end is a carbide glass breaker. 0.25 0.1396484375 250 139.6484375 Trailer Completed.